This week, a little something special. We talk with Stanley Samuelsen about his memories of Christmas as a child in the Faroe Islands. Then he sings us a Faroese Christmas song. The show is only about 10 minutes long, but it packs a lot of holiday joy into a small space. 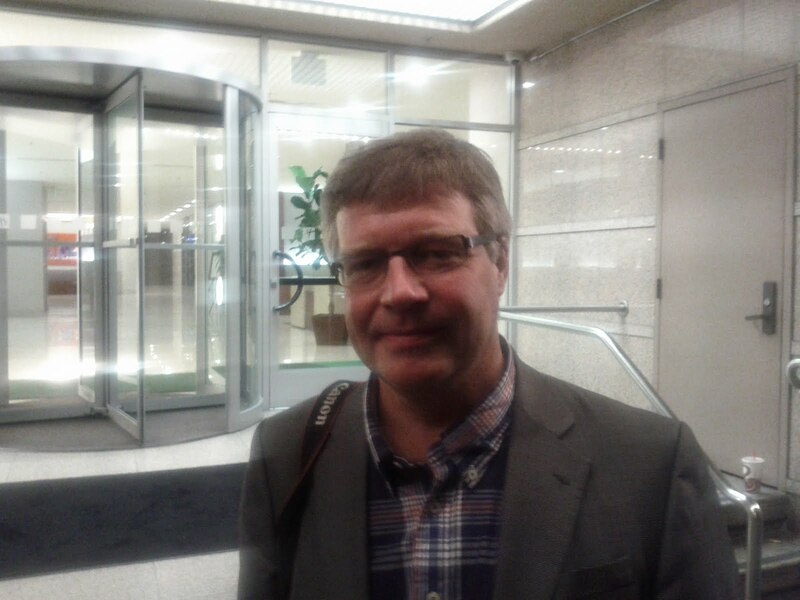 This week, we talk with our good friend Birgir Kruse (pictured above) about three big news stories that have made headlines in the Faroes over the past month: the parliamentary elections, a major hurricane hitting the islands, and the first homicide in the Faroe Islands in 25 years. This show is a long one, so pack a lunch and dig in. This week, we talk to an American (pictured, below) and visit a hook (pictured, above). The American is James McGrath. He's a freelance writer and a student living in Connecticut. He's visited the Faroes several times, and he's shared some of his impressions with our good friend Heri Simonsen. The hook is a work of public art in Klaksvik that was actually the source of some controversy last year. Could this giant hook be a menace to public safety? Listen and find out. NOTE: In this week's show, we promised to upload some of James's articles. We're experiencing some technical difficulties with that, but we'll have that material posted in this space soon. This week, part two of our conversation with Graham Yapp. 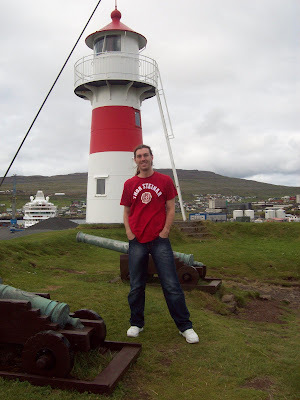 He's the charming English groundhopper who traveled to the Faroes last spring. While we talked mostly about football (soccer) last time, this week we'll talk more about the Faroese people, and the joy of doing nothing. Then we sit and do nothing (noticing a trend?) on a peninsula just south of Strendur (pictured above). We'll also cover several news items including the hurricane that hit the Faroe Islands last week, and the ongoing homicide investigation.